Smooth and toothed blades for foam and other sectors - NEW !!! 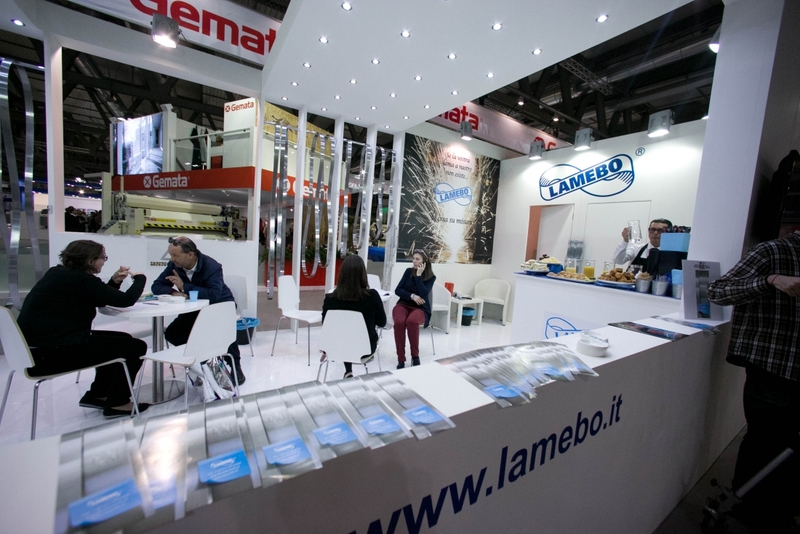 Lamebo is the main Italian producer of splitting band knives. Tanneries: on splitting machines by Mosconi, Poletto, Rizzi, Turner, Svit, Linta, Alpespak, CSM, Gemata, Mercier and other machines. 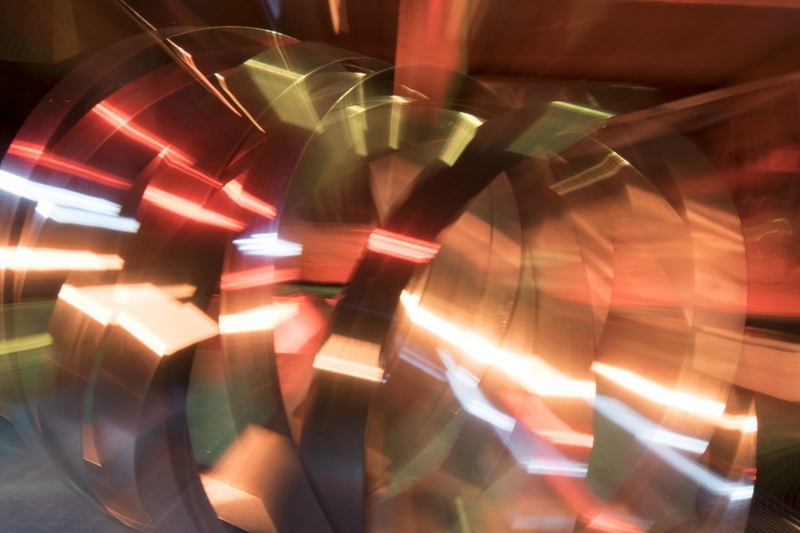 Shoe manufacturers and Leathergoods :on leather splitting machines by Alberti, Atom-Ellegi, Camoga, Fortuna, Omsa-Sagitta, Albeko, Svit, and other machines. Processing of foam, synthetics and cork factories: on machines by Fecken Kirfel and other machines. Fur processing factory: for processing skins on machines by Capdevila, Selbeck, and local machines. More informations about splitting band knifes on Wikipedia. Lamebo will attend APLF 2019 in Hong Kong from 13th to 15th March 2019! We will wait for you at our booth Hall 1 - 1A - F25/IT! We would like to thank you for your kind visit at our booth during Simac Tanning Tech Fair 2019! It was a pleasure to meet you there! 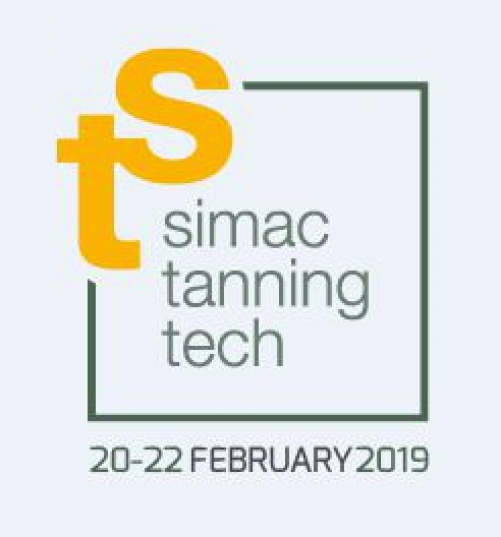 Lamebo will attend Simac Tanning Tech 2019! 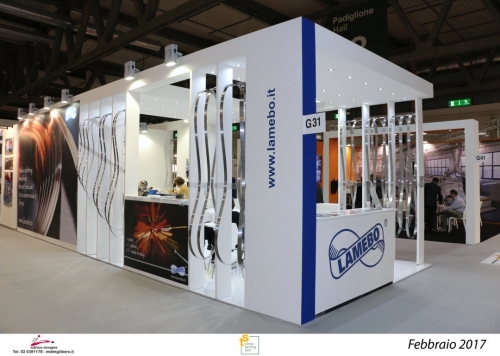 Lamebo will attend the most important trade show event of our business industry. We will wait you at our Stand!! We would like to focus your attention to some frauds and scams with reference to bank's details (and especially to the change of IBAN number). We declare that Lamebo is not changing its bank's details included IBAN. So if you receive some emails that seem to arrive from our e-mail address, informing you that we've changed our IBAN number or asking you to settle a payment on a new Lamebo's IBAN, please be so kind to call us immediately on our phone number (+39 0119910383) and NOT TO PAY anything before calling us. We remain at your disposal for any further information. 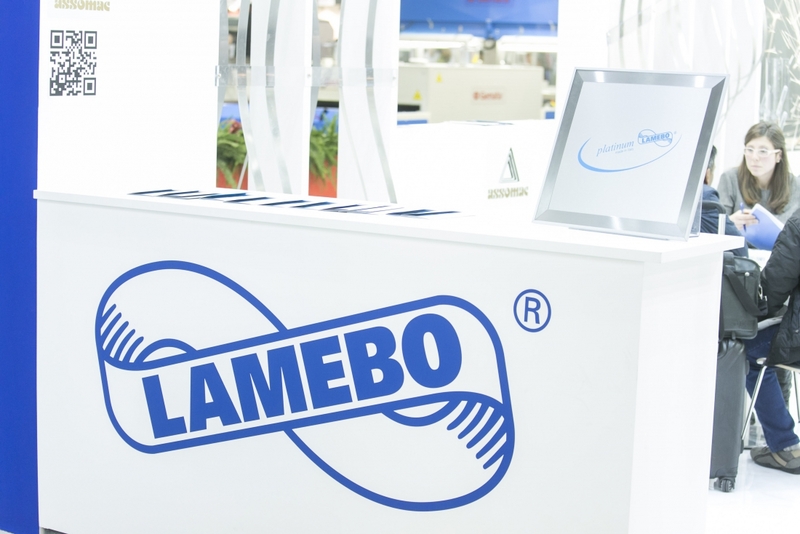 To guarantee a constant level of quality in its products, Lamebo achieved the new quality certification in accordance with UNI EN ISO 9001:2015 regulations. We are very glad to inform all our customers that since 11.12.2017 Lamebo has been registered in the database of REX System (Registered Exporter System)! 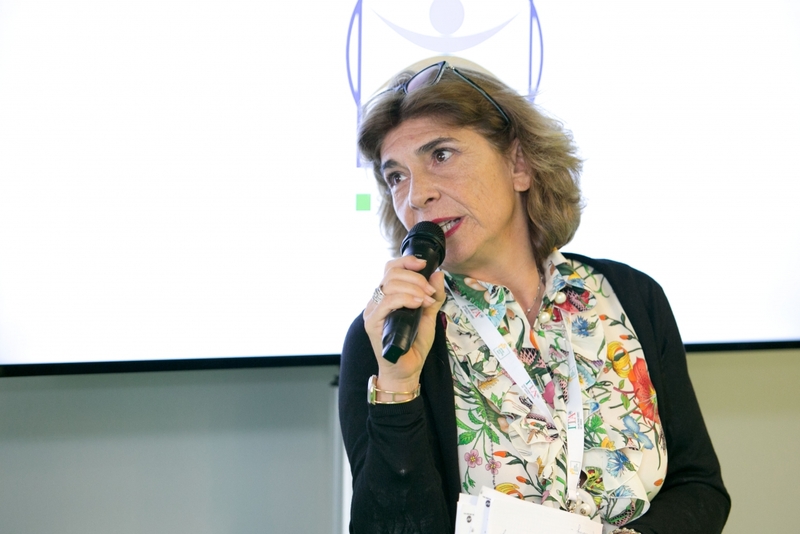 Gabriella Marchioni Bocca, Lamebo, è il nuovo Presidente di Piccola Industria di Confindustria Piemonte / Gabriella Marchioni Bocca, Lamebo, is the new President of Piccola Industria di Confindustria Piemonte. Riceviamo l'attestato di benemerenza per aver contribuito attraverso una libera donazione a sostenere ed affrontare le difficoltà ed i disagi degli eventi sismici dell'anno 2016 verificatosi a Sarnano (MC). We received the merit certificate since we had helped thru' charitable contribution to support and face difficulties, disadvantages related to the earthquakes in year 2016 in Sarnano (MC). Una grande iniziativa promossa dai Sig.Giancarlo Dani e Sig.Rino Mastrotto in cui c'è anche un po' di "cuore" della Lamebo. 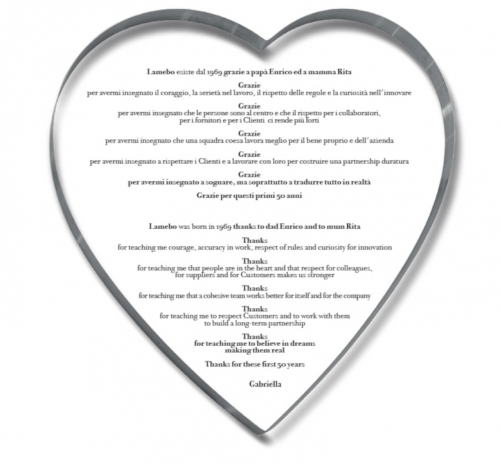 / A great initiative promoted by Mr.Giancarlo Dani and Mr.Rino Mastrotto where Lamebo's "heart" is present. /Una gran iniciativa promovida por el Sr Giancarlo Dani y el Sr Rino Mastrotto donde hay un poco de "corazon" de Lamebo. On the 9.03.2016 Lamebo Srl has received the "Legality Rating"
On the 9.03.2016 Lamebo Srl has received the "Legality Rating", that acknowledges the ethical business behavior of Italian companies. organizzata dal Ministero degli Affari Esteri e dal Ministero dello Sviluppo Economico in collaborazione con Confindustria. kind of goods, and so expensive, can be constantly guaranteed? elegant or casual for our free time, we can't go anywhere without! perfect bags: the quality of the leather do the difference. what splitting band knives have been used to work the leather? Indeed, in order to work the leather in the better way and then to guarantee the better quality which in the leathergoods and shoes fields it is used to prepare the leather which will become bags, belts and shoes, a particular kind of blade is used and this is the so-called splitting band knife. Apart from separating and splitting the leather, it allows also to “reduce” the material in its thickness, obtaining the high quality product we can parade. You'll say : all blades are basically the same! quality of the final product! Therefore.. each blade has its leather! And each leather has its blade! In the shoe and leather goods sector the blades which are mostly used are rectified on both edge and surfaces in order to guarantee the best splitting, that means a constance in the thickness of the leather that is produced/splitted (rectification of surfaces), and also to guarantee the maximum linearity during the splitting process ( back edge); the blade must run as stable as possible without oscillations at all, which could create defects on the leather. itself at the top of high quality splitting band knives production. 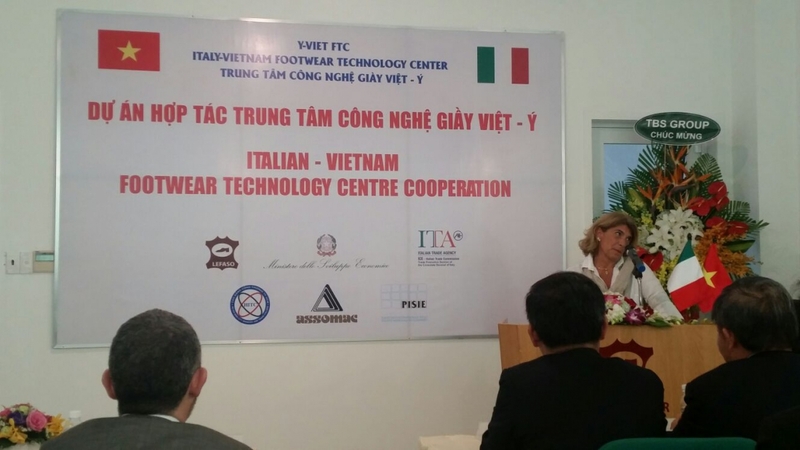 Once again the fashion is Made in Italy also in the components used for creation of smart products. knives to guarantee the highest quality of what we are wearing out! 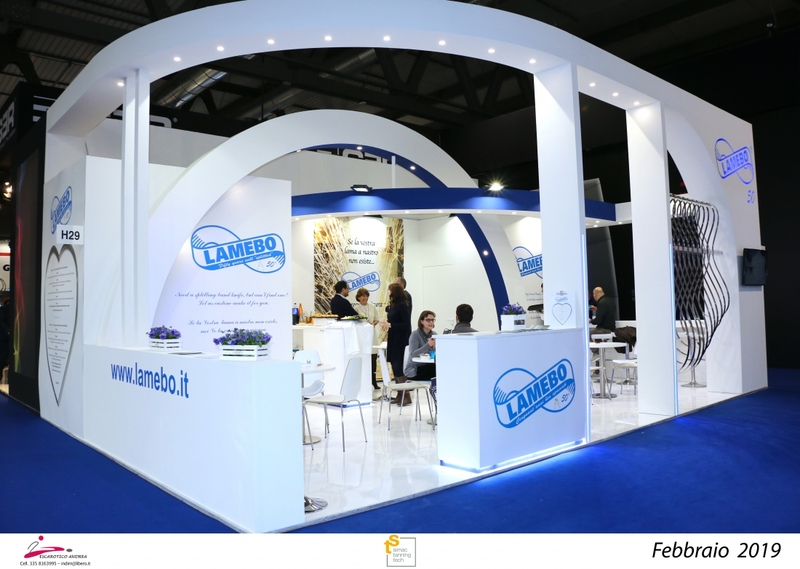 Starting from the 1st January 2015, Lamebo introduces the "Form of Organisation, Management and Control with reference to legislative decree 231/01 and Ethic Code". It is the set of rules and procedures organised in order to prevent the acting of violations and crimes which have to be followed by every person in the company. 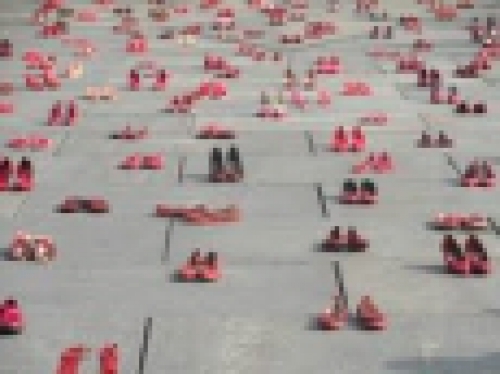 In order to effect the form, an independent monitoring organisation and a Ethic Code are created. The independent monitoring organisation meets with regular frequency in order to jugde if the Ethic Code is respected. 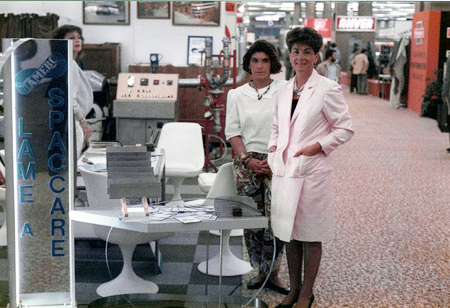 In 1969, Enrico and Rita Bocca realized that, by drawing on their many years of experience, they could fill the gap for a specialized company able to meet the growing and ever more sophisticated needs of customers using splitting band knives. 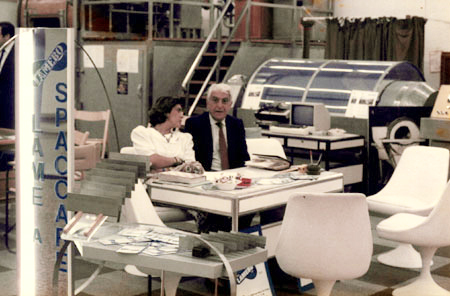 So, in 1969 in San Mauro Torinese, Lamebo srl was born – “the Italian alternative to splitting band knives manufactured abroad”. 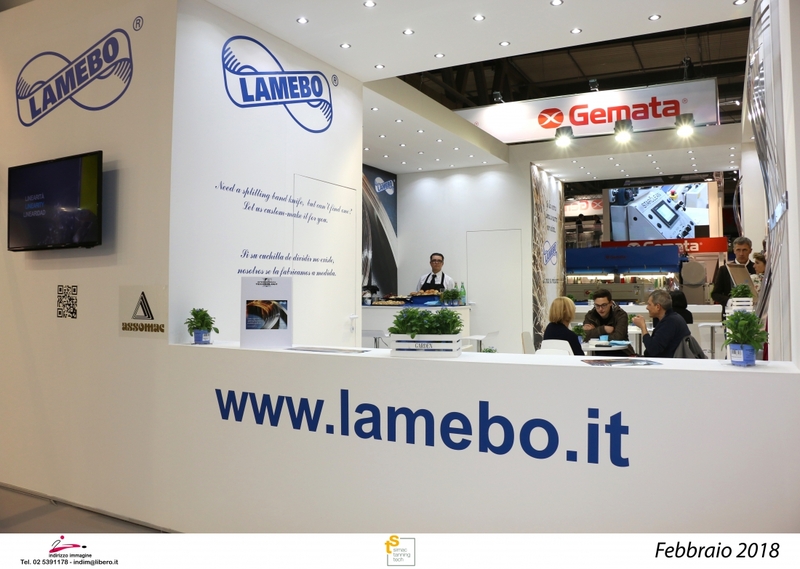 Having become the most important manufacturers of splitting band knives in Italy, Lamebo started to scale the international markets: a new phase then began under the guidance of Gabriella Marchioni Bocca. 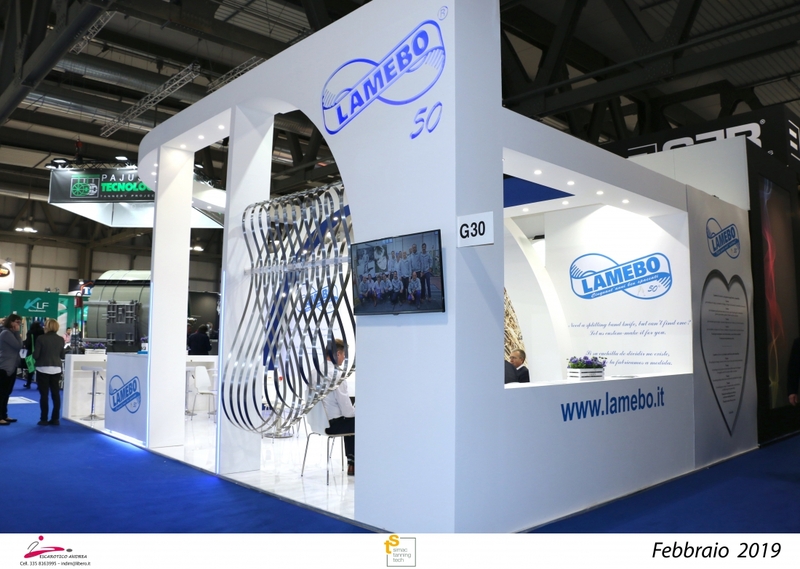 Now, after celebrating its 45th anniversary, Lamebo srl has become the undisputed global Leader of quality splitting knives in the tannery, shoe manufacturing, leather and fur industries, as well as in the processing of foam, synthetics, rubber and cork. 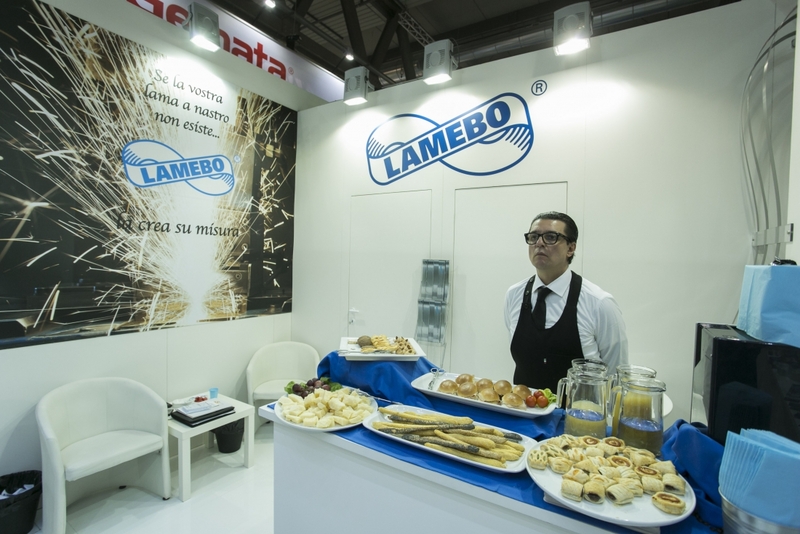 LAMEBO’s experience, and technical and business know-how means it is a highly reliable and qualified partner, able to address the needs and problems of its vast customer base. 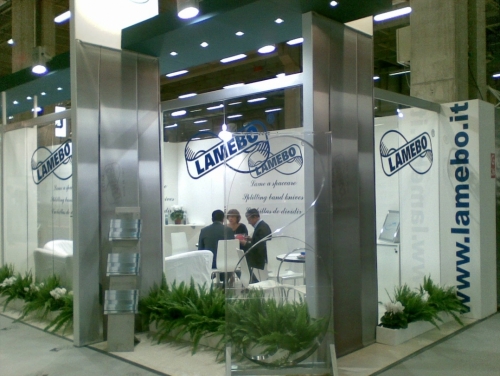 Today, Lamebo can lay claim to a worldwide sales network. We have over 1700 customers scattered across 90 countries all over the world. 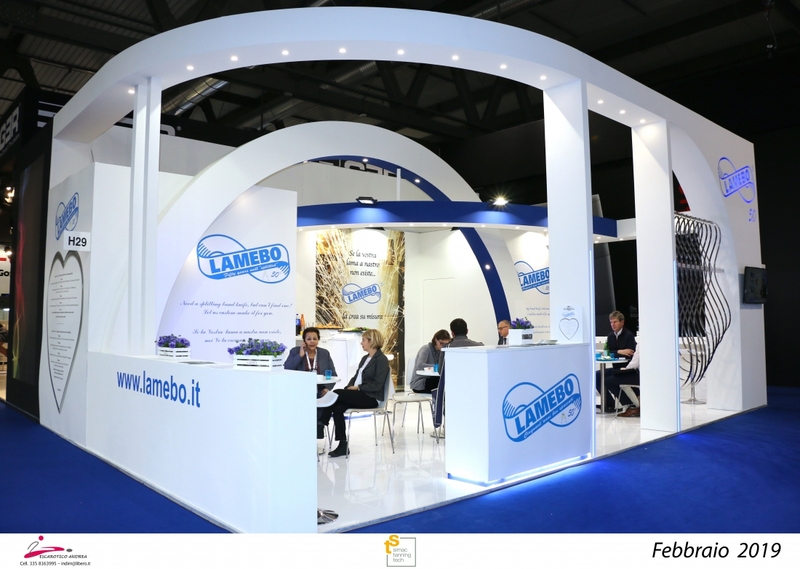 To keep in close touch with its customers and get a better understanding of their individual needs, Lamebo participates in international trade fairs, technological seminars, meetings with local representatives, and offers tailor-made consultancy based on its customers’ requirements. If you can’t find the answers to your specific questions, then contact us and we will be more than happy to find a solution to your problem. 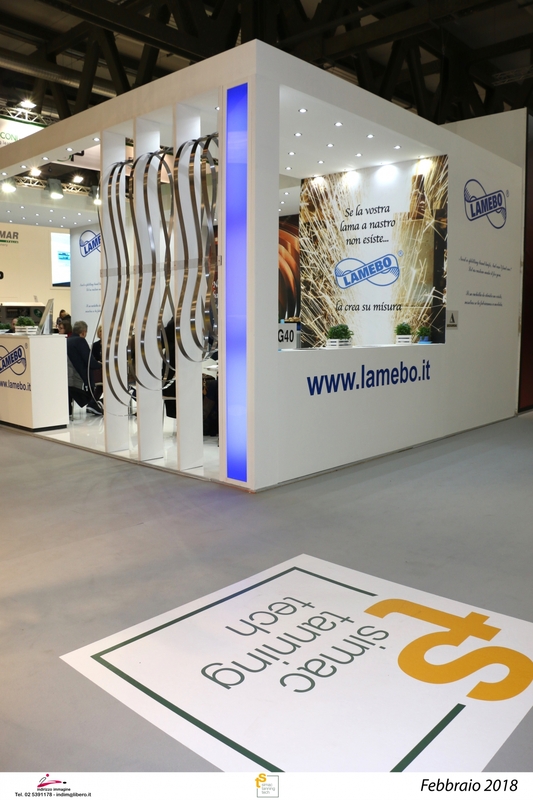 Today, the name Lamebo stands for a truly global leader in the splitting band knives sector. 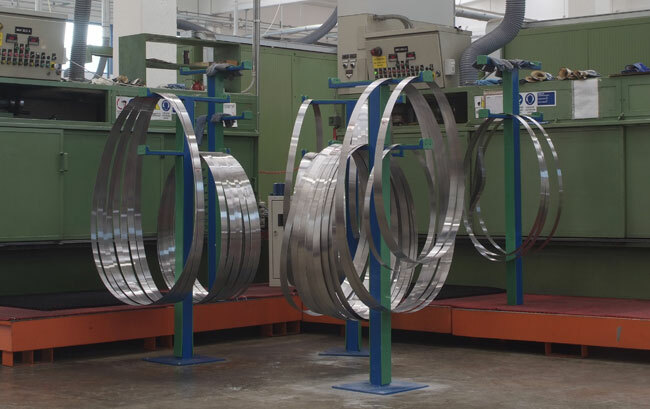 Our blades are 100% Made in Italy in our factory located in Leinì, Torino. We offer you maximum guarantee and transparency. Our quality is ISO 9001:2008 certified, you can find the Quality Certificate on our website www.lamebo.it! 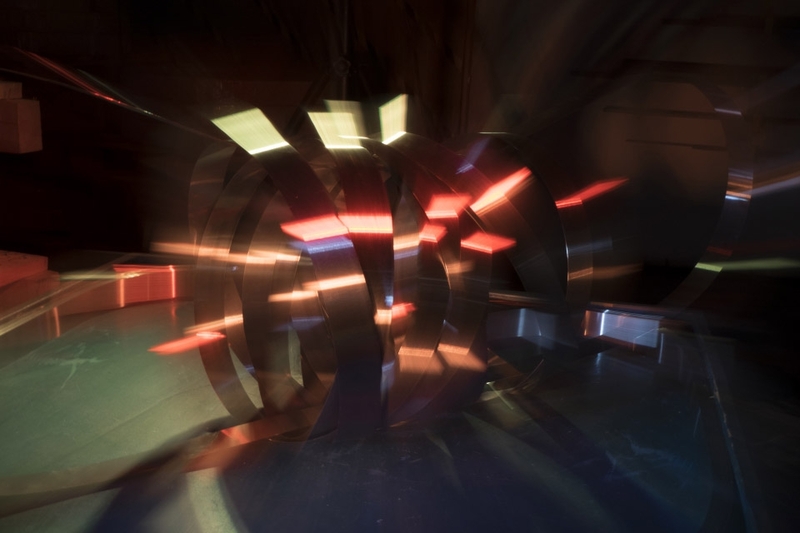 Why did we decide to rectify our blades, even if this involves more steps in our production process? Here under all advantages that you could have. Rectification of the surfaces: when we speak about this rectification, we mean a “treatment of levelling” that we do in order to guaratee the same thickness on all circumference along the lenght of the blade and smooth surfaces, with a very low level of roughness. 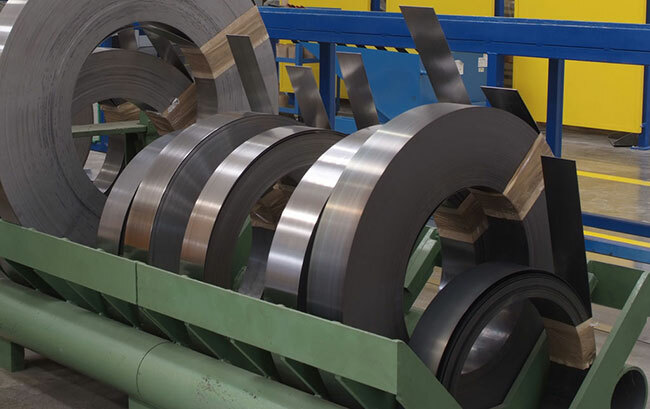 Rectification of the edges: when we speak about this rectification, we mean a treatment of turning that we do on the edges of the blade in order to eliminate/reduce the oscillation of the running blade. 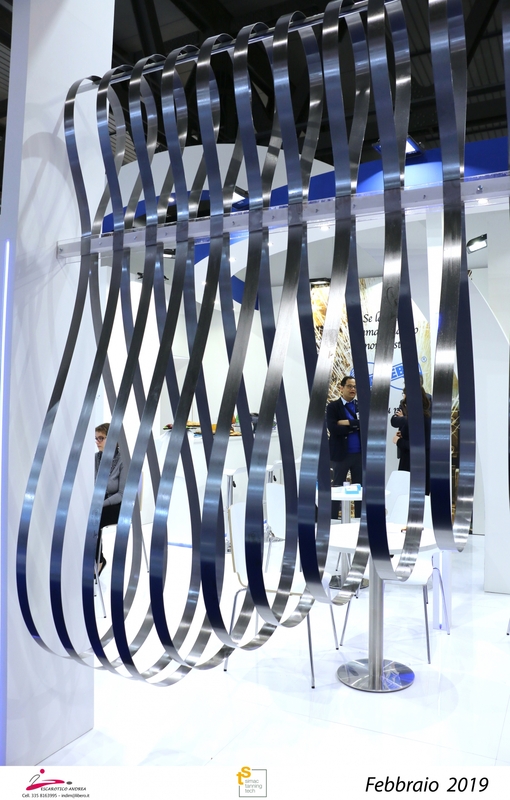 Lamebo produces all kinds of splitting band knives , of any size that can be used in any sector and on any splitting machines, based on your requirements for length (from 1000 to over 15000 mm), width (from 10 to 120 mm) and thickness (from 0.40 to 1.50 mm). We can offer you a wide range of the best raw materials in Europe, specifically designed to fulfill the requirements of any kind of application, to split any kind of material (leather, fur, paper, rubber, India rubber, cork, velvet and textiles in general, foams, non-woven material) in any state (dry, wetblue, lime, in different harnesses)and in relation to the grinding wheels utilized. 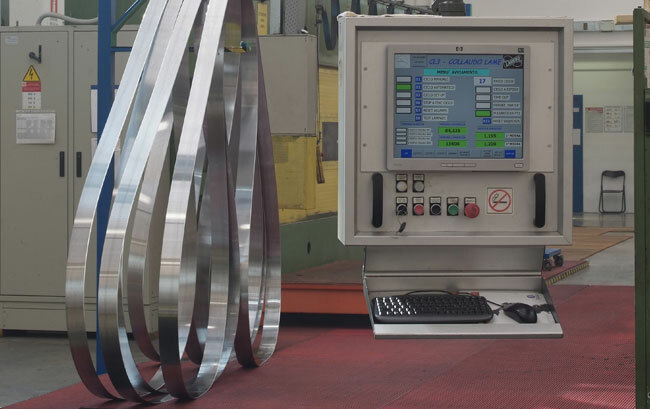 The knives are ground on both surfaces to guarantee a uniform thickness, machined on the edges to guarantee maximum straightness when used and pre-beveled to reduce the time taken to start operation once they are mounted on the splitting machine. 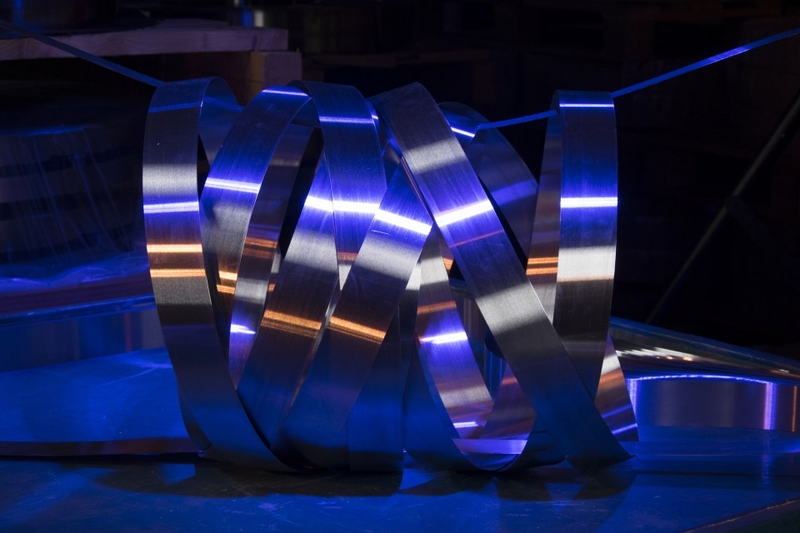 We have a full stock of all the combinations of thicknesses and widths of raw materials which means we are able to create any kind of splitting bandknife. 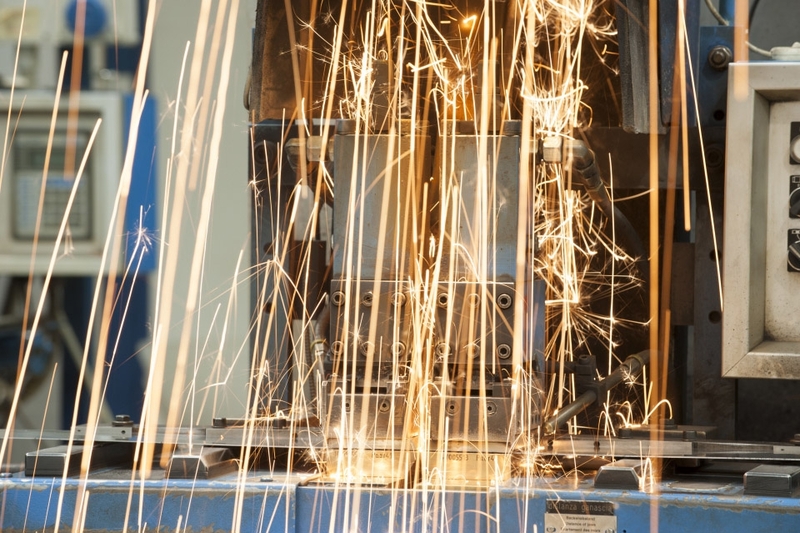 Lamebo works in conjunction with the main worldwide manufacturers of splitting machines to fine tune the combination of splitting machine and knife during the design and production phase. Need a splitting bandknife, but can't find one? Let's custom-make it for you. Thickness: from 0.80 mm. to 1.20 mm. Width: from 70 mm. to 115 mm. The hardness, expressed in Rockwell degrees, of the different raw materials can be changed, on request, from 44 to 50 HRC. We can design a new band knife based on your requirements for special, non-standard applications. Need a splitting band knife, but can’t find one? Let us custom-make it for you. We can produce band knives measuring from 2000 to 6000 mm. Thickness: from 0.40 mm. to 1.00 mm. Width: from 40 mm. to 60 mm. The hardness, expressed in Rockwell degrees, of the different raw materials falls in the range of 48 - 51 HRC. 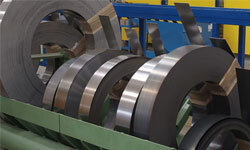 We can produce splitting band knives measuring from 1000 to 15000 mm. Lamebo knives can be used to process paper, cardboard and derivatives, plus composite materials that use splitting band knives. They can be mounted on any kind of machinery on the market. Thickness: from 0.40 mm. to 1.50 mm. Width: from 3 mm. to 118 mm. The hardness, expressed in Rockwell degrees, of the different raw materials can be changed, on request, from 44 to 50 HRC or in the range of 48 - 51 HRC. For knives from 6000 mm. to 15000 mm. For knives from 2000 mm. to 5000 mm. 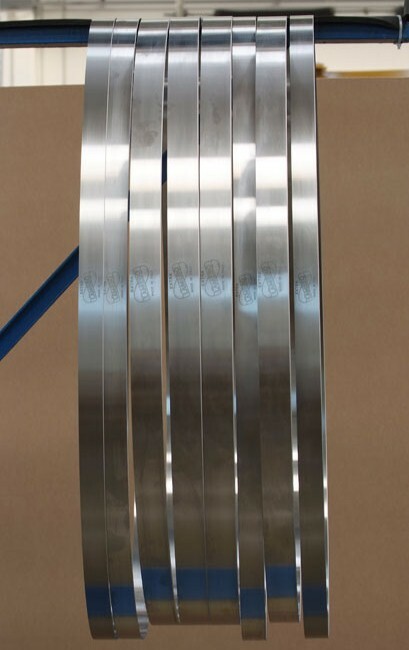 We can produce band knives measuring from 1000 a 15000 mm. Lamebo can offer you the best band knives for splitting, profile cutting, peeling and finishing of rubber, India rubber, latex, cork, foam rubber, polyurethane, polyethylene, polypropylene, neoprene and any product or derivative of the above which can be processed by band knives mounted on any machine on the market. Thickness: from 0.40 mm. to 1.32 mm. Width: from 3 mm. to 115 mm. The knives can have one, two or four bevels and four intersecting bevels. 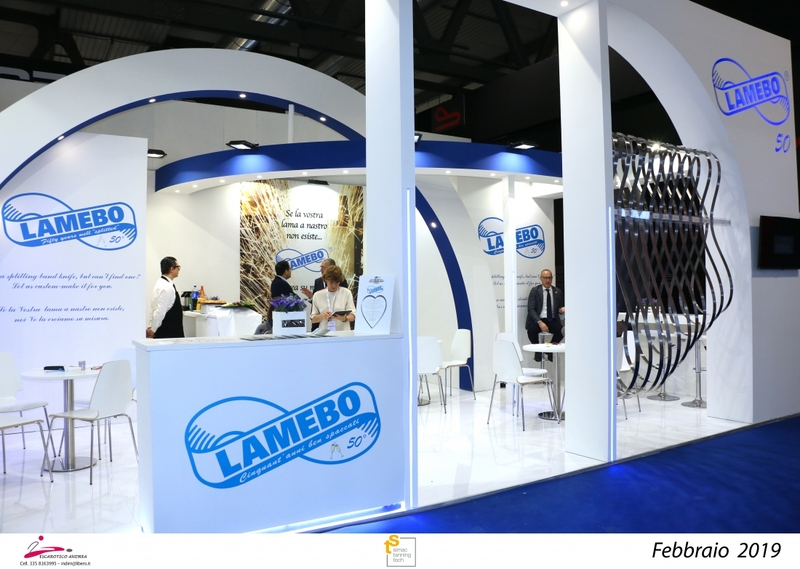 Lamebo company is one of the leading producers of band knives worldwide. 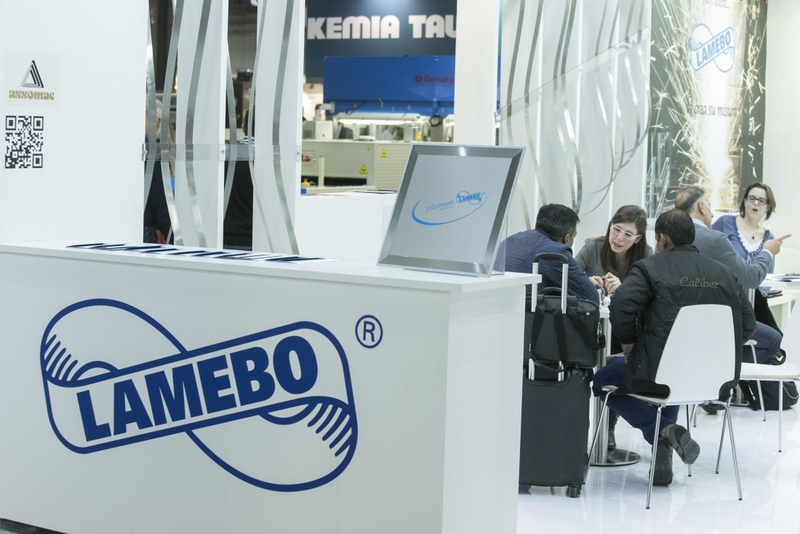 Dynamic, versatile, competitive: these are our company's keywords and a tangible sign of the presence and reliability of Lamebo on a global level. 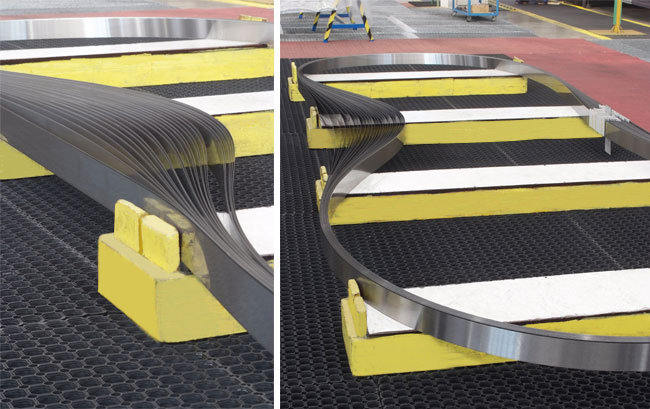 We can produce a new band knife based on your requirements for special, non-standard applications. Need a band knife, but can’t find one? Let us custom-make it for you. 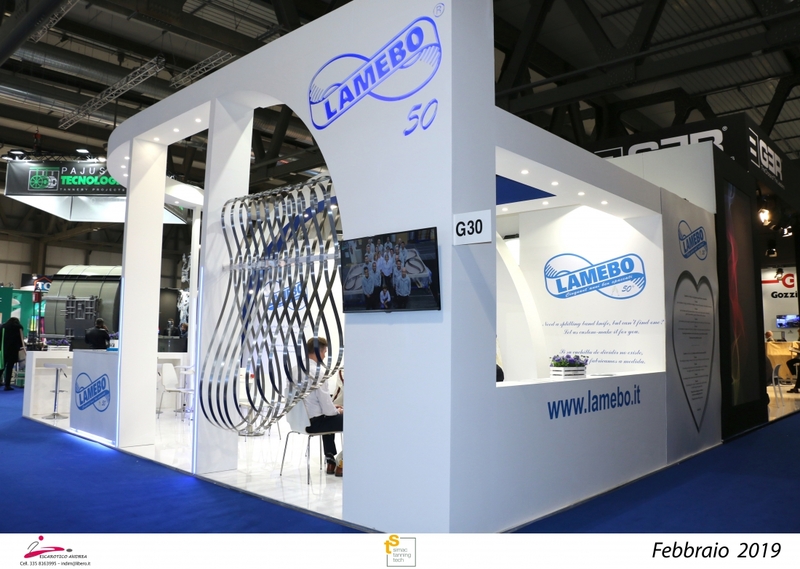 Lamebo can offer you the best 100% Made in Italy band knives for splitting, profile cutting, peeling and finishing of rubber, India rubber, latex, cork, foam rubber, polyurethane, polyethylene, polypropylene, neoprene and any product or derivative of the above ones which can be processed by band knives. of any brand, from Italy to Taiwan, from Germany to USA, from Turkey or any other countries. Length : from 1000 mm to 15000 mm. 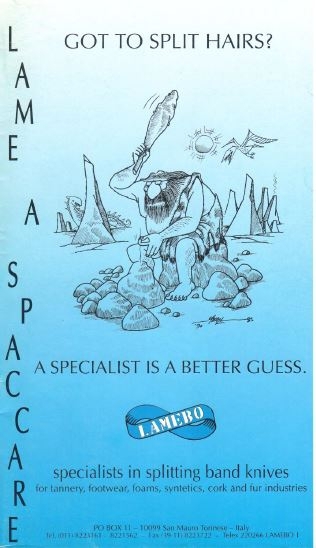 ***We have a large variety of raw steel in our warehouses, which means Lamebo can create any combination you may need. DBDE / DBSE / SBSE / SBDE / DBDE TWISTED, according to sizes and customers' needs. ….combinated with a wide choice of TPI. c) steel rolls sharpened or toothed according to customer’s needs. The splitting band knives must be kept in their protective box and removed from the inside one at a time. Band knives must be kept in their crate, protected by nylon, taking out one blade at a time. 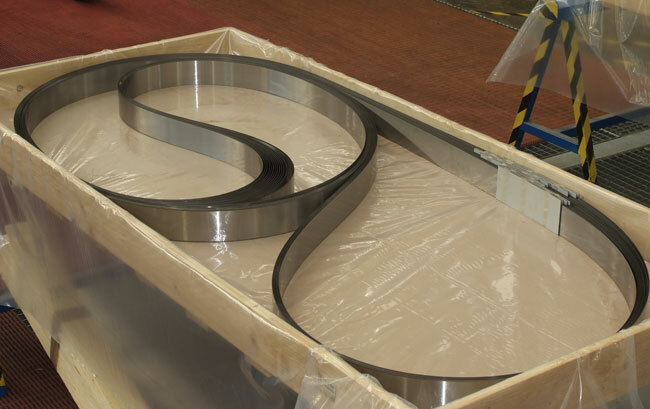 For what concerns the tannery splitting band knives, it is necessary to remove the 'resin-glass' protection of welding, only at the moment of the installation on the machine. NEVER bend the welding point (marked by our trade-mark). In case of any complaint, you can find our production references, near the trade-mark. Blades must be clean and protective oil must be removed ; furthermore, please do not bump into blades during cleaning and assembling. Blades must be assembled on fly-wheels, perfectly grinded. Guide-blades, rollers, and plates must be in a good condition, otherwise, blade could not revolve straight. 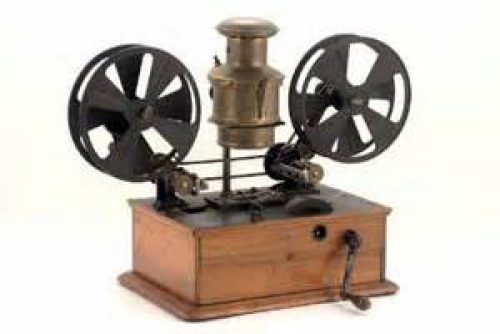 On old machines - adjusted manually - blade must be neither too much tight or too much slack. After the assembling, blade must idle some minutes in order to be able to settle down well, on fly-wheels. Afterward, one can make the machine setting. SHARPENING: our band knives are already pre-sharpened to facilitate the technician and to speed up the operation. 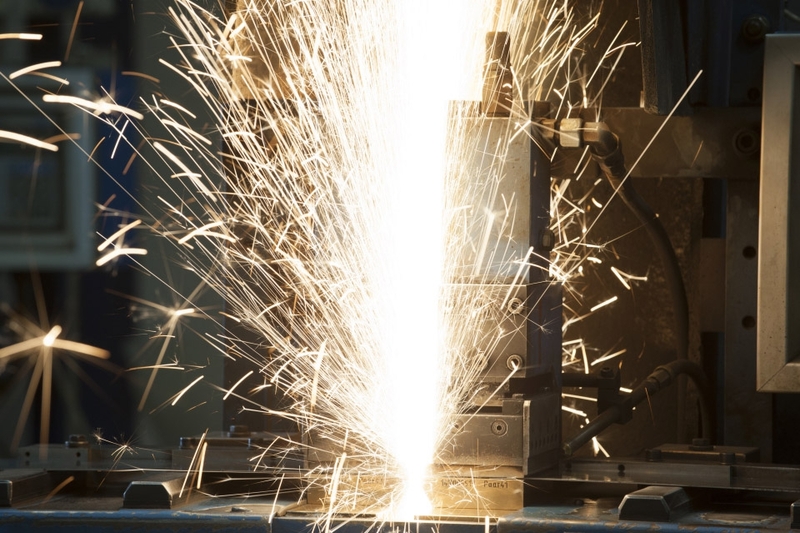 It is important to make the first bevel very slowly to avoid overheating the steel and changing its structure, with the prejudice of a good output. The good relation between blade and grinding stone will be the guarantee of the best life of blade. Bevel must be always scratched, never shiny. We usually recommend following the manufacturer's instructions for the angle of inclination of the bevel. In wet blue: the bevel for this process is 5 mm. above and 3 mm. below. In lime: the bevel for this process is 6 mm. above and 4 mm. below. In dry: the bevel for this process is 3.5 mm. above and 2.5 mm. below (but no longer because it will weaken the cut). The bevel must be rough and not smooth. The bevel must always be in very centre of the thickness. Our boxes (that can be made of wood+cardboard or cardboard only) exit from our factory in perfect conditions, well done and checked in every parts by our operators, when the forwarders pick the goods up. It can happens that during the transport the packing is damaged and arrives to destination (customs/your factory - to you or to your broker) damaged. If the packing is damaged, maybe also the blades could be damaged and in case you cannot use them, you have the right to be reimbursed if the Insurance is included in the transport. 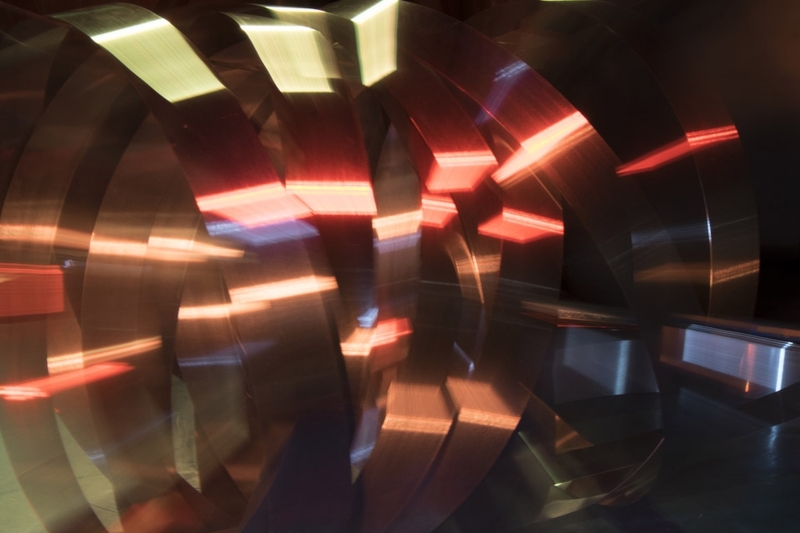 THE ONLY WAY TO GET THE REIMBURSEMENT and consequentely to permit us to produce new blades for you as replacement, IS TO OPEN IMMEDIATELY THE CLAIM WITH OUR OR YOUR FORWARDER - HOW? you check the goods first. If the packing is in perfect conditions ok.
you ask the forwarder to give you the document that you need to fill in writing that the packing arrived damaged and that you accept/you clear the goods "under condition that you will check the goods in your factory" + your signature - without this document no reimbursement will be done and we will not be able to replace the damaged goods. you finally check in your factory the goods and you inform us about the condition of the goods. If the forwarder is our forwarder: you will send us copy of all documents + picture and we will open the claim and ask for the reimbursement. Quality is a MUST for staying in the market - especially in an increasingly difficult and globalised market. 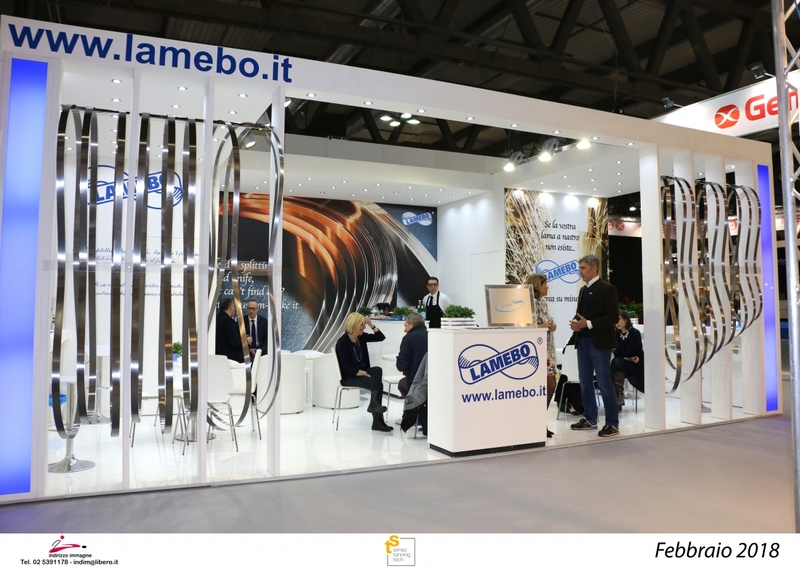 Lamebo continues to progress and improve and to do so, it must strive towards constant renewal, but above all, it must listen to its customers' requirements and production needs. 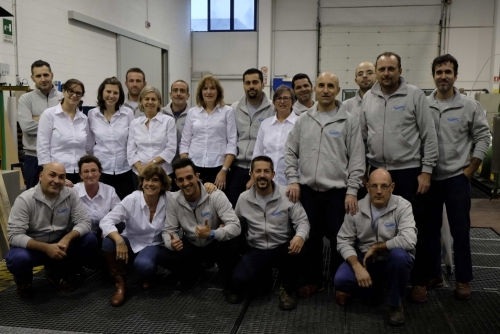 Gabriella Bocca, Italian and International sales director, along with the sales team, follows and personally meets with customer and representatives on a regular basis to pass requirements and requests from various markets to the technical production staff who, in turn, work closely with Italian and international manufacturers of band knife splitting machines. 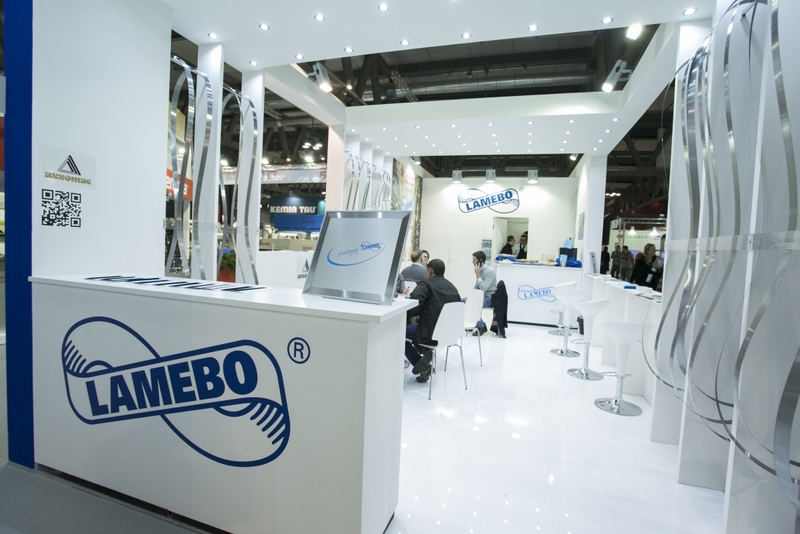 Dynamic, versatile, competitive: these are the company's characteristics and a tangible sign of the presence and credibility of Lamebo on a global level. 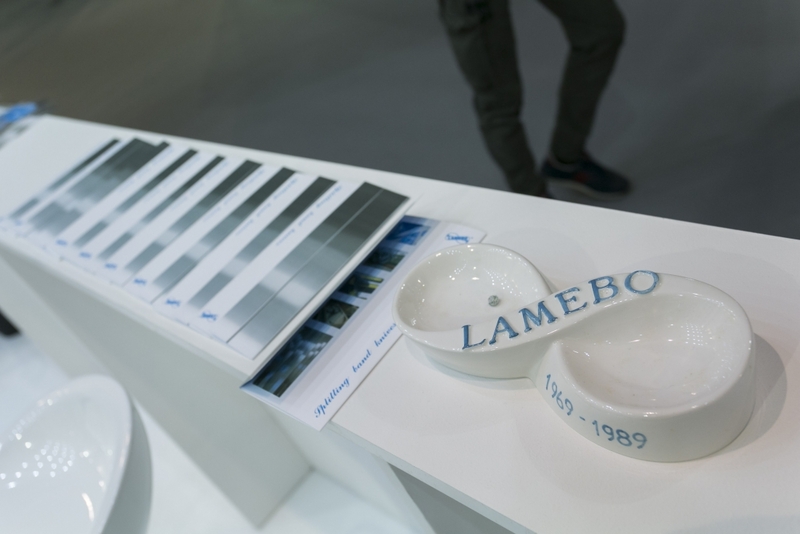 By listening carefully to its customers, Lamebo has been able to diversify its quality and fulfill all their requirements for both quality and budget. 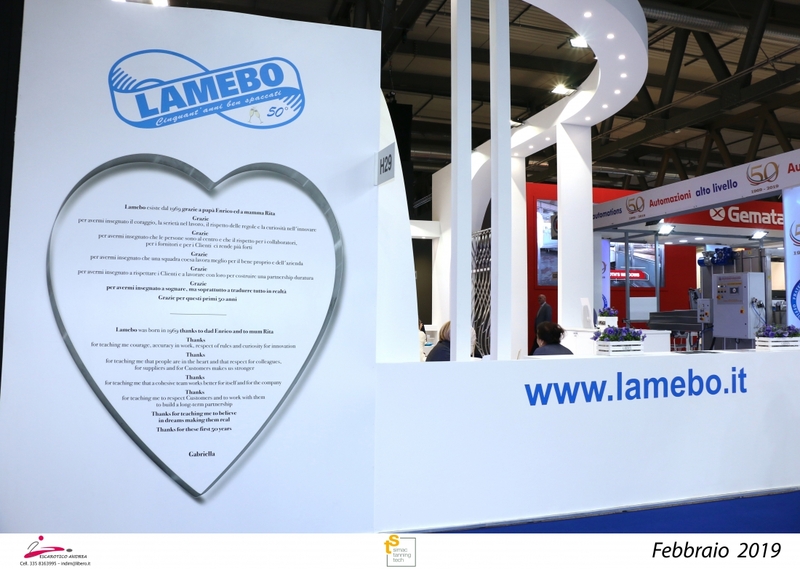 To guarantee a constant level of quality in its products, Lamebo initially achieved quality certification through an ISO 9001 approach and then, obtained the second step in certification by changing its procedures in accordance with UNI EN ISO 9001:2015 regulations. 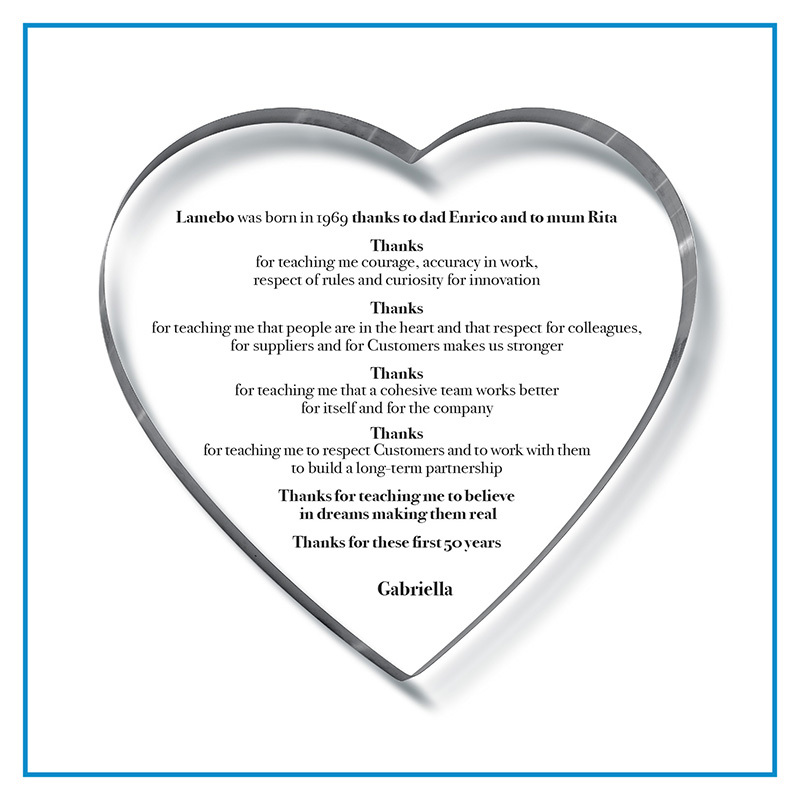 “Codification in production management” - states Gabriella Bocca -“ means better control of all the processes, especially for products like ours that require maximum precision. 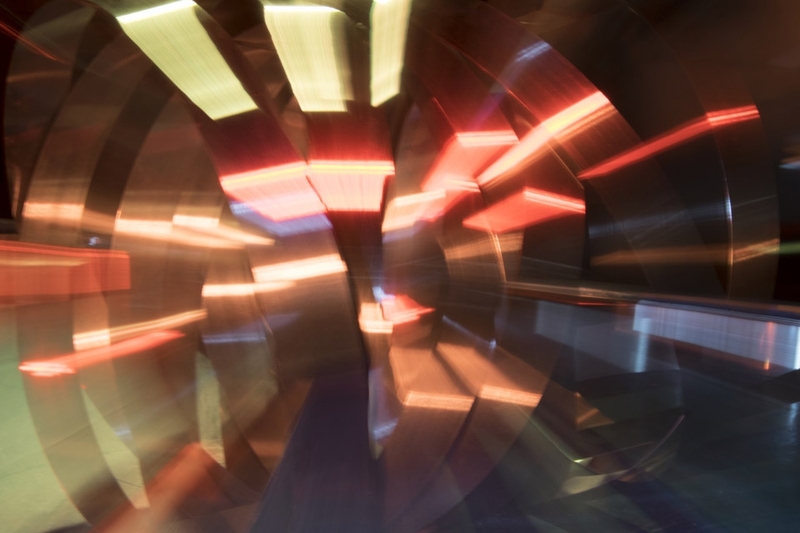 Moreover, in an increasingly difficult and globalised market, any company wanting to continue to progress and improve must strive for on-going improvement and constant renewal”. It is the set of rules and procedures organised in order to prevent the acting of violations and crimes which have to be followed by every person in the company. 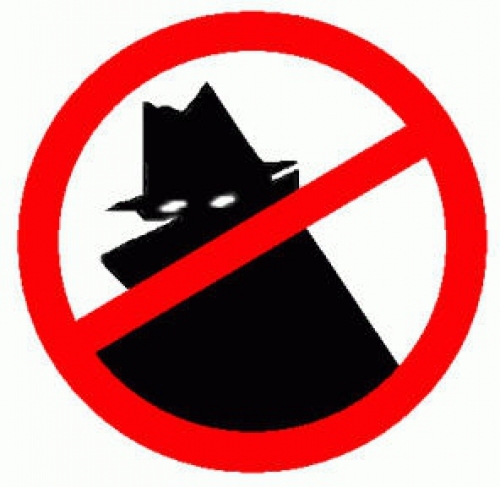 In order to effect the form, an independent monitoring organisation and a Ethic Code are created. The independent monitoring organisation meets with regular frequency in order to jugde if the Ethic Cod is respected. Lamebo staff wishes everybody a Happy Season's Holiday! 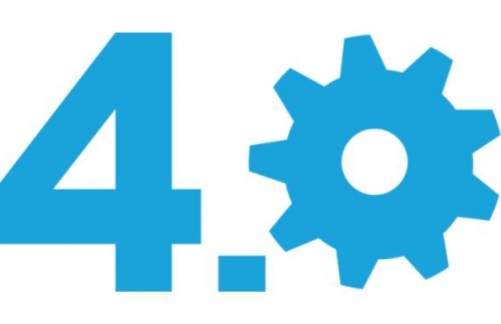 We are very glad to inform all our customers that since April, 2018 Lamebo became Industry 4.0! Ready for Holidays, we will be back on the 24th of August! Lamebo thanks everybody for all kind visits received during the fair! We will wait for you in Hong Kong!! Hall 18 Booth F40 !!! Lamebo will be closed on Thursday 8th and Friday 9th Dec. for National Holiday. See you on Monday the 12th December! 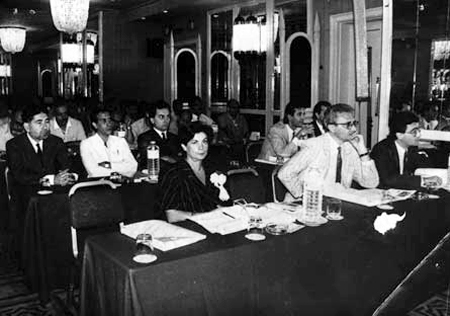 International date where Lamebo attended. 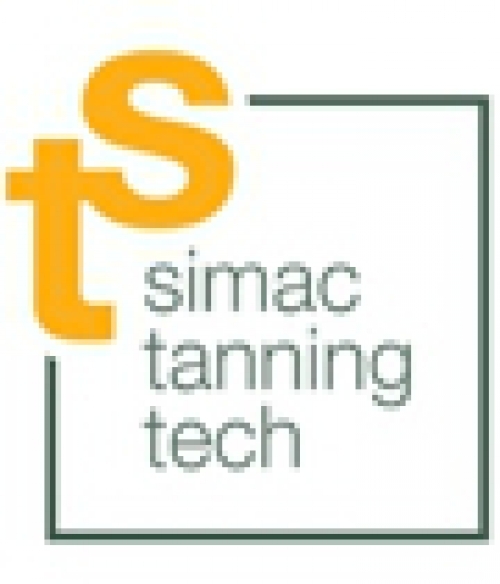 Click on "Scarica File" to see the video of Simac Tanning Tech. 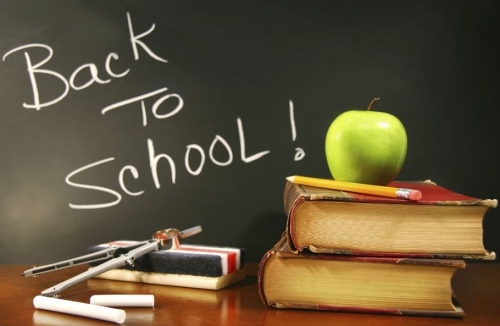 On the 4th and 5th of May we'll be back to school! We will attend a course organized by our association ASSOMAC. See you on 6th again! We will be back on the 7th of January 2016! 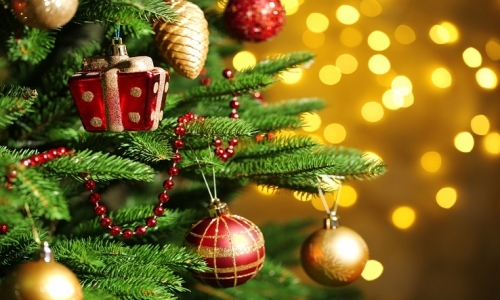 Best Wishes to everybody!! 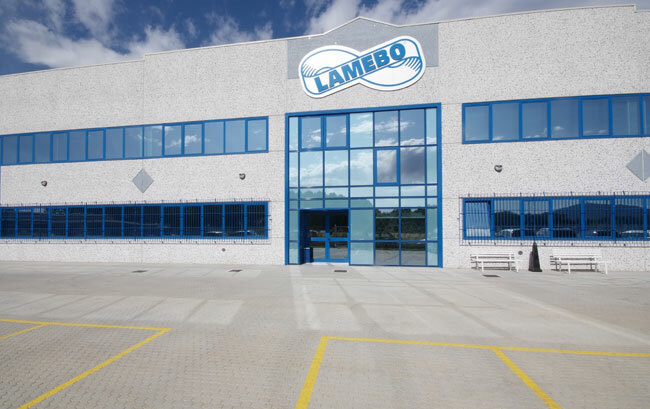 Lamebo reminds all customers to check the stocks before our Christmas closing in order to organize the production and the deliveries in the best possible way. Thanks to everybody for the kind cooperation! Lamebo è stata Main Sponsor del congresso "TRENDS & FUTURE CHALLENGES" tenutosi l'8 Settembre. 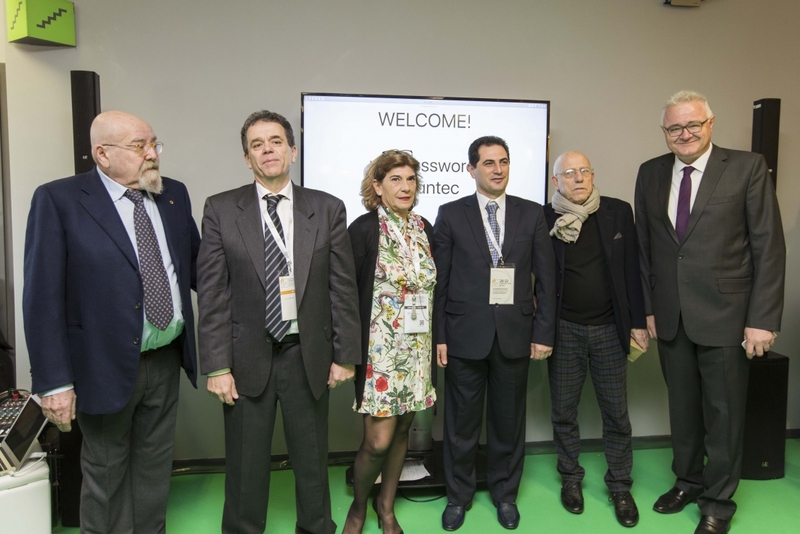 Tutti gli associati di ICT hanno presentato la situazione della pelle nel mercato mondiale; tra i numerosi interventi si annoverano anche quelli del Presidente ICT Rino Mastrotto, del Presidente UNIC G.Russo e del Presidente Assomac Gabriella Marchioni Bocca. 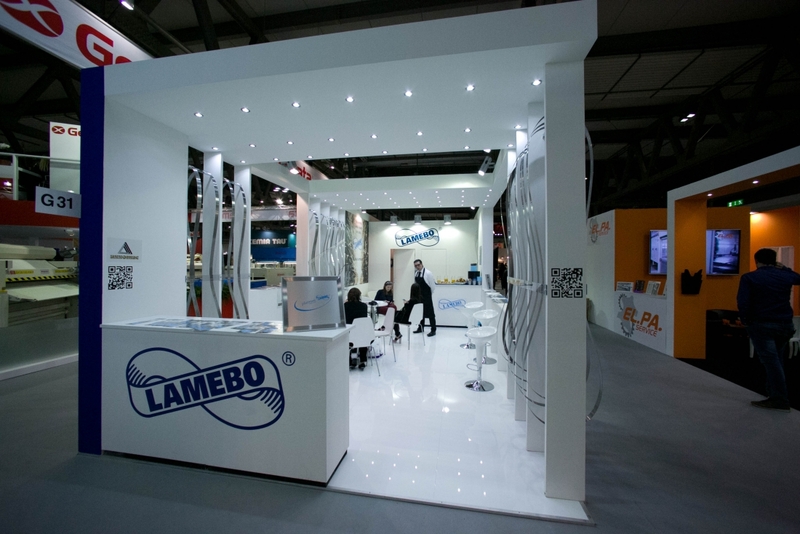 Lamebo is WLC 2015 Main Sponsor . 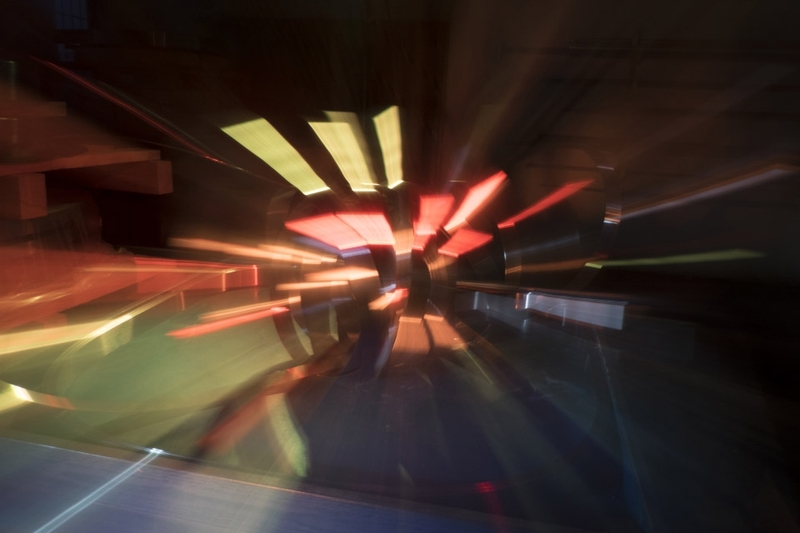 WLC 2015 will be held in Milano the 8th of September in the Edison Foundation. 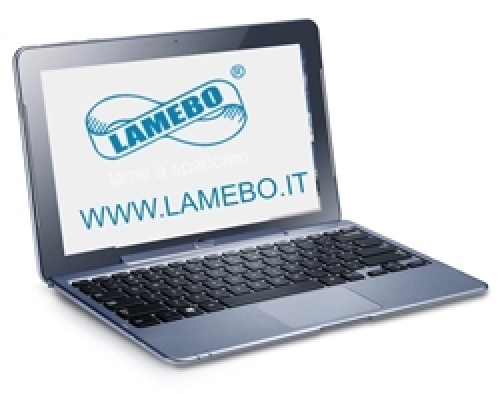 Our new image..we will wait for your kind comment directly on our website www.lamebo.it or by e-mail! 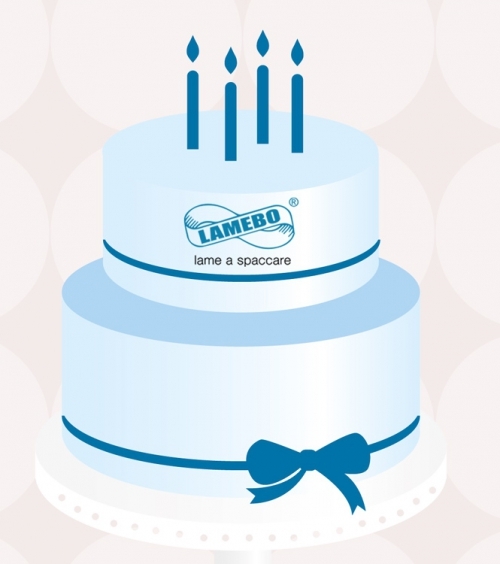 30th January is an important date for Lamebo: it marks its anniversary!! This year is even more important because it is celebrating 45 years of activity. L’unione fa l’innovazione: SSIP e ASSOMAC firmano un protocollo d’intesa. Come stanno cambiando il mondo e i modelli di business è stato il tema centrale affrontato nel corso dell’Assemblea Annuale di Assomac. "The company I wish to have"
How the world and business models are changing has been the main topic discussed during the Assomac Annual Meeting. Record year for Simac Tanning Tech 2018, interview with Gabriella Bocca, President of ASSOMAC. 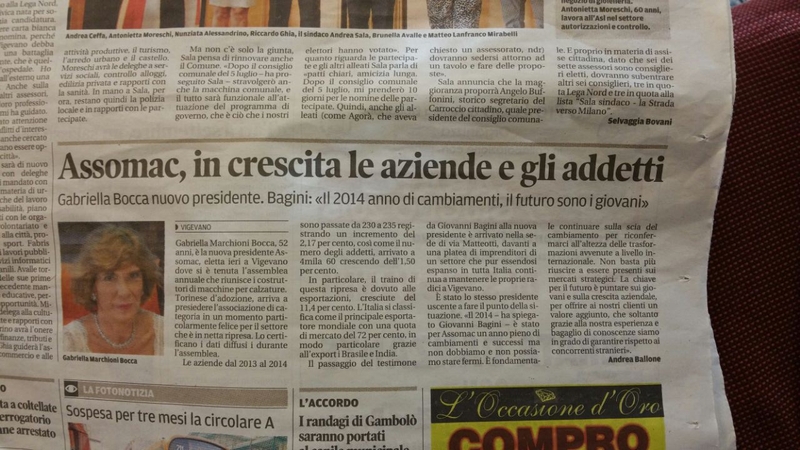 Un articolo dal titolo "Assomac, il cambiamento è adesso" su L'informatore, relativo all'Assemblea annuale Assomac svoltasi a Vigevano venerdì 25/05. 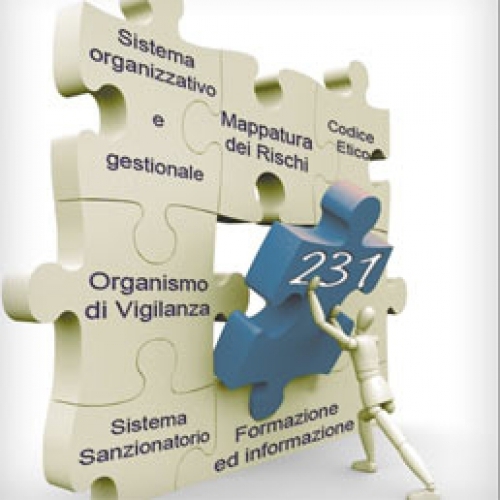 Un articolo dal titolo "Nel suo complesso, la filiera cresce" su L'informatore vigevanese, relativo all'Assemblea annuale Assomac svoltasi a Vigevano venerdì 30/06. Assemblea Generale Assomac, giugno 2017, Vigevano, presso la sede di Assomac. Here, you'll find a short video which shows our stand during Simac Tanning Tech Fair from 21 to 23 February 2017. 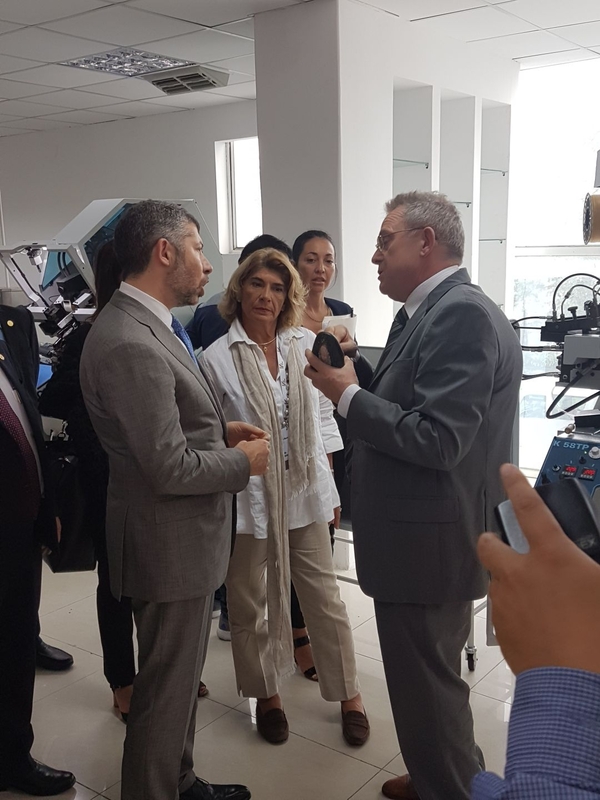 Interview with Assomac President, Gabriella Marchioni Bocca, following the Simac Tanning Tech exhibition. 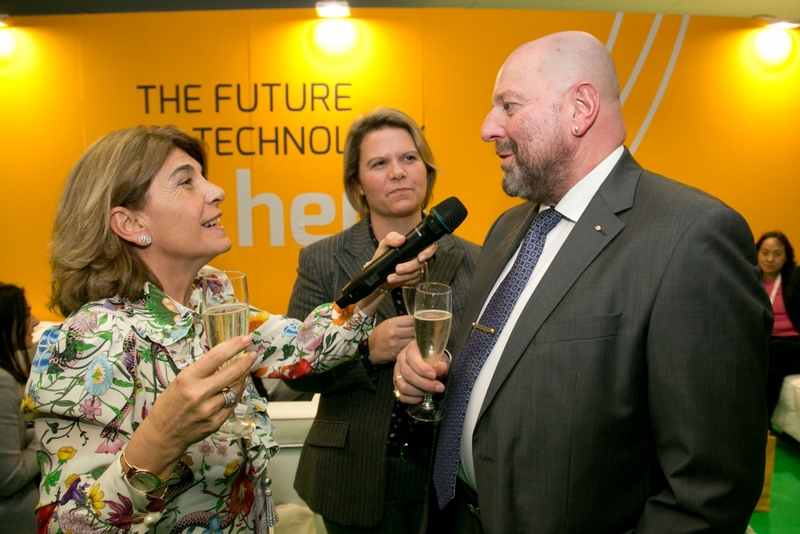 Assomac president,Gabriella Marchioni Bocca, formally opened the 2017 edition of Simac Tanning Tech in Milan on 21st of February. 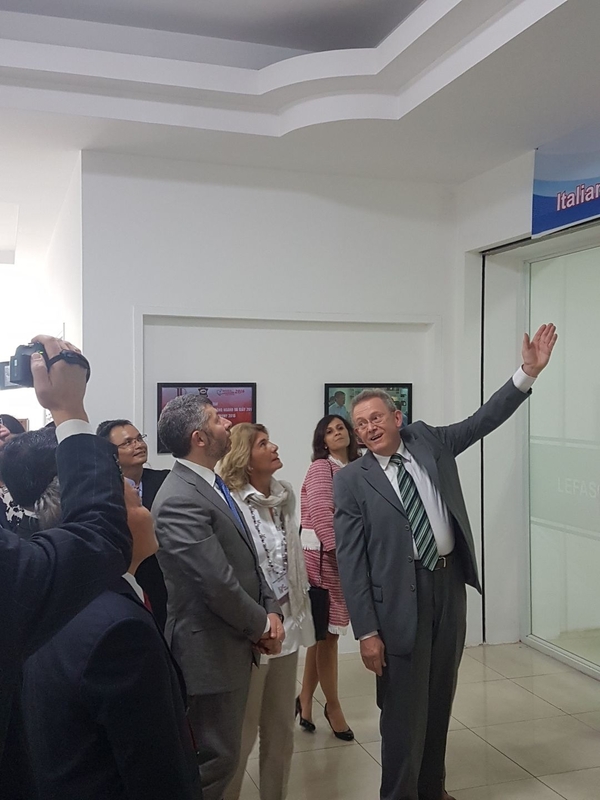 Assomac: un punto di riferimento per l'industria di settore italiana e internazionale / Assomac - A point of the reference for the Italian and international industry. Interview to Mrs. Gabriella Bocca, Lamebo, Assomac President. Three months left to the Simac / Tanning Tech 2017 and there is +20% exhibition area already booked! 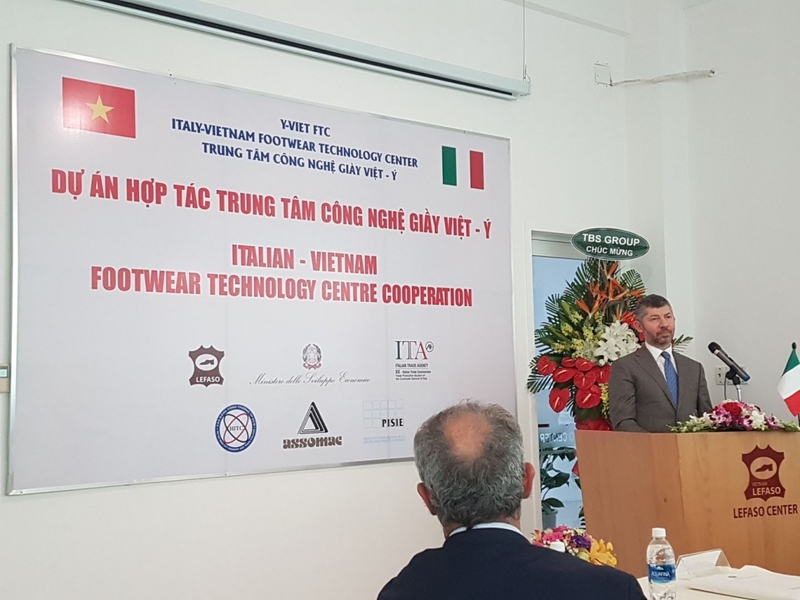 Assomac citata dal ministro Calenda come esempio virtuoso nella cooperatione tra Italia e Vietnam / The Minister Calenda (MISE) mentioned Assomac Assiociation as virtuoso model in the business cooperation between Italy and Vietnam. Tratto da L'Informatore../ From L'Informatore..
Investitura ufficiale del Consorzio Santi Crispino e Crispiniano per Gabriella Bocca, Lamebo srl. 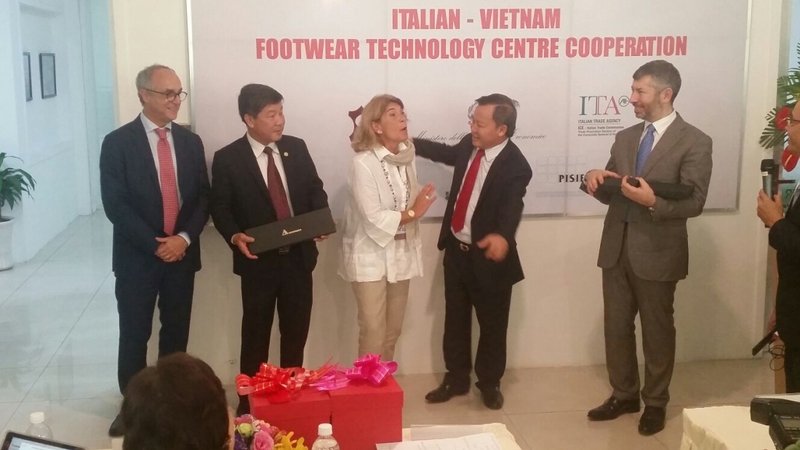 / Official investiture for Mrs.Gabriella Bocca, Lamebo by Consorzio Santi Crispino e Crispiniano. Gabriella Bocca, Presidente Assomac, sarà premiata per "Fedeltà al Lavoro" durante la Festa del Consorzio Santi Crispino e Crispiniano / Gabriella Bocca, Assomac President, will be awarded for "Fidelity to Work" during the Festival of Santi Crispino and Crispiniano Consortium. "Assomac premia la longevità delle aziende"/"Assomac awards enterprises longevity"
Tratto da International Technology...Uniti si vince!/United to win! 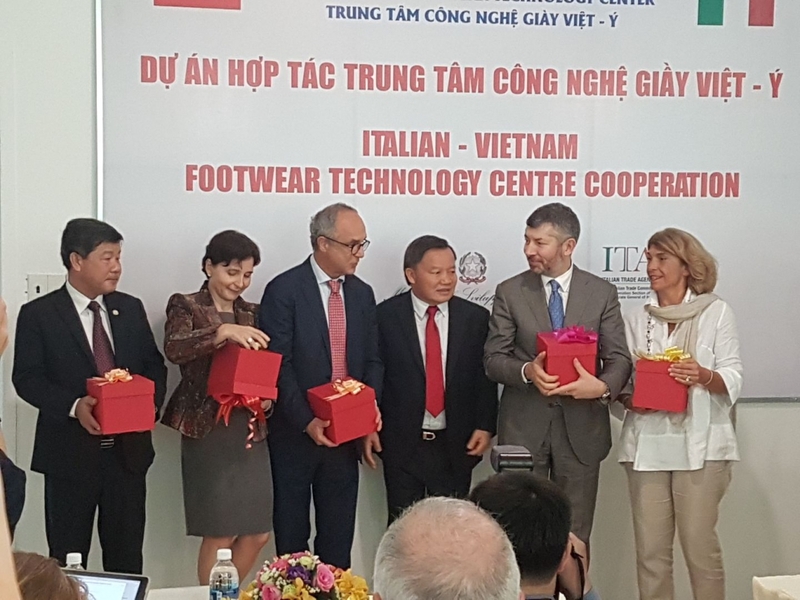 L'Assemblea Annuale di Assomac ha riunito gli attori della filiera moda pelle e calzature / The leather and footwear fashion chain Actors brought together by the Annual Meeting of Assomac. "Le lame che fanno la differenza", il nuovo articolo sulle lame Lamebo pubblicato su Arsutoria. 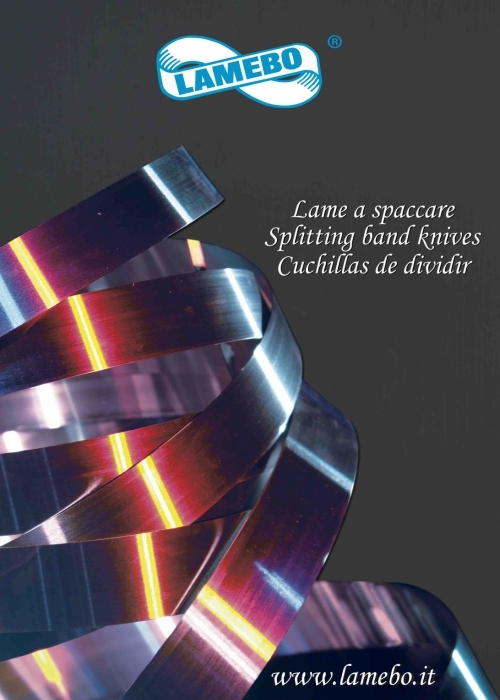 "Blades that make a difference" the new article about Lamebo splitting band knives published on Arsutoria. Tratto da Mdp La conceria ..
Tratto da Mdp La conceria..Intervista a Gabriella Marchioni Bocca, presidente Assomac, Assemblea Generale a Desenzano del Garda. Tratto da International Technology, un nuovo articolo sulle lame a spaccare Lamebo, "Un brand italiano sinonimo di alta tecnologia"
Tratto da Il Sole 24 Ore....Assemblea Generale Assomac, giugno 2016 Desenzano Del Garda. 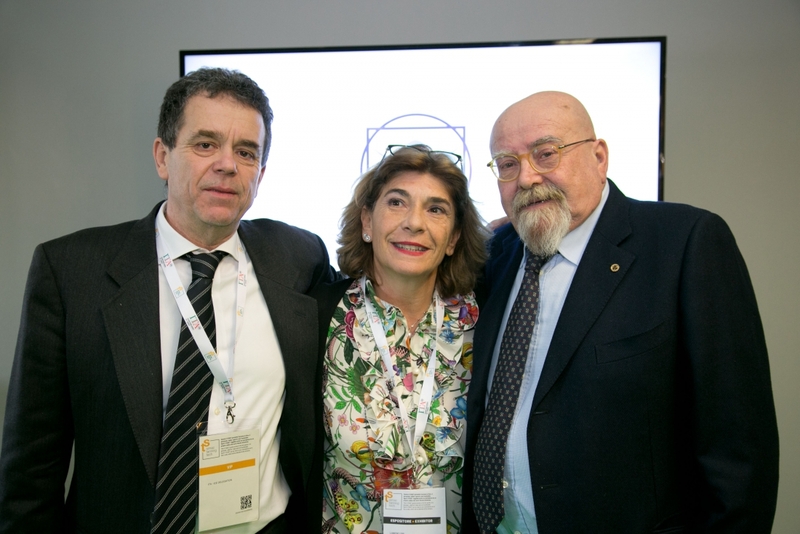 Intervista a Gabriella Marchioni Bocca, presidente Assomac, sulle prime impressioni sul Simac Tanning Tech 2016. 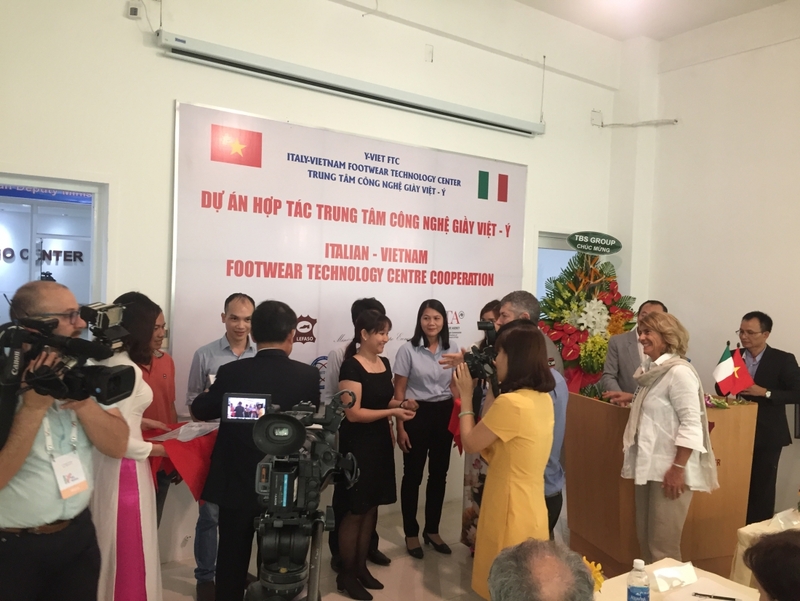 Intervista a Gabriella Marchioni Bocca: "Asia, L'India è il nuovo bacino Produttivo"
Tratto da Trend in Tannery..
Intervista a Gabriella Marchioni Bocca, presidente Assomac, "Condivisione e leadership tecnologica"
Intervista a Gabriella Marchioni Bocca, Presidente Assomac, "Produzioni ed export in crescita. 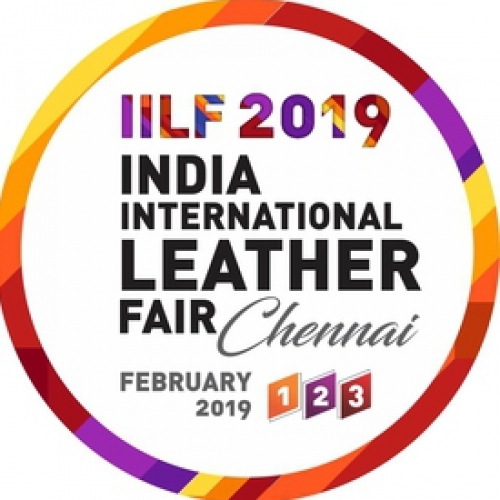 Le macchine per scarpe decollano"
La Lamebo era presente ad uno degli eventi più importanti del settore, il 2° World Leather Congress! Il congresso ha visto la partecipazione di circa 300 delegati (clienti, concerie, fornitori, stampa, istituzioni pubbliche) provenienti da 28 Paesi. Ecco il link dove poter vedere gli atti del convegno. Intervista a Gabriella Marchioni Bocca, nuovo Presidente di Assomac: "Facciamo gioco di squadra" . 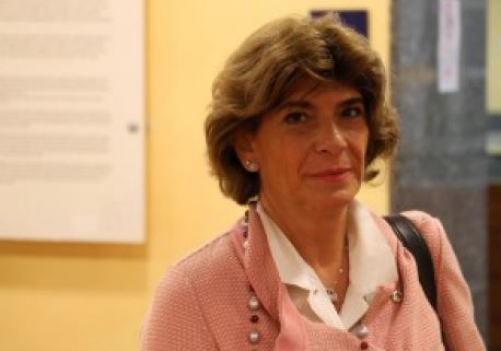 Elezione di Gabriella Marchioni Bocca, nuovo presidente di Assomac. 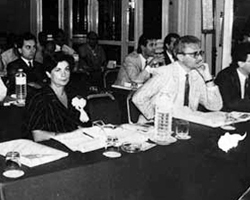 About the election of Mrs. Gabriella Marchioni Bocca, Lamebo as Assomac President and Mrs. Annarita Pilotti as Assocalzaturifici President. 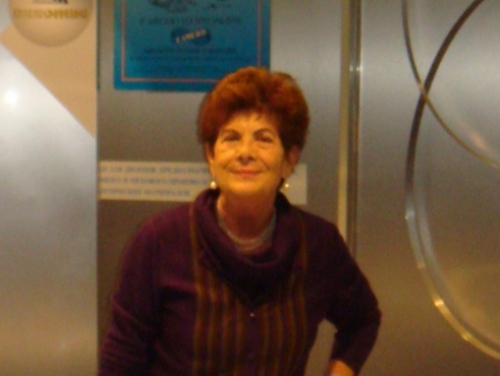 Venerdì 26.06.2015 Gabriella Marchioni Bocca è stata eletta Presidente dell'associazione di settore Assomac. 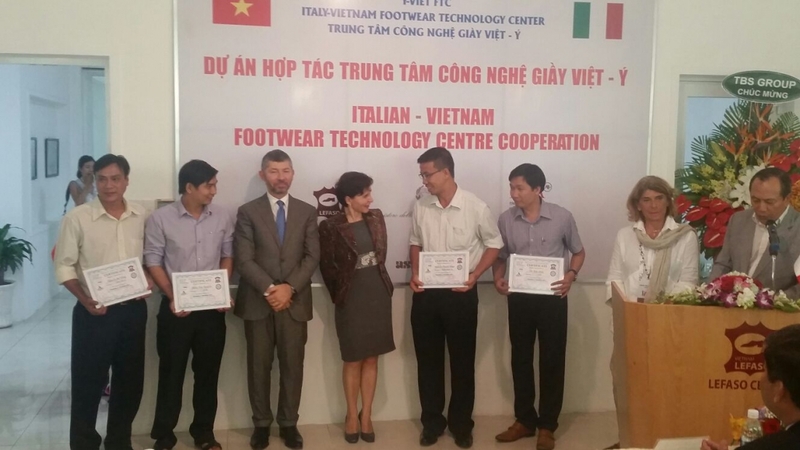 Tratto da MF "Vola l'Export di Settore"
Gabriella Marchioni Bocca è stata eletta Presidente dell'associazione di settore Assomac. "Qualità e servizio alla base di una costante evoluzione"
Il trattamento delle informazioni é svolto nel rispetto dell'Art. 13 del Reg. UE 679/2016 sulla tutela dei dati personali. L´utilizzo é solo a scopo interno e ne viene garantita la massima riservatezza. PER NOI LA QUALITA' E' TUTTO : LA QUALITA' DEGLI ACCIAI, DELLE SALDATURE, LA LINEARITA', LA PERFEZIONE DEL TAGLIO CHE FANNO UNICHE LE NOSTRE LAME. UNA QUALITA' ALTA E COSTANTE. 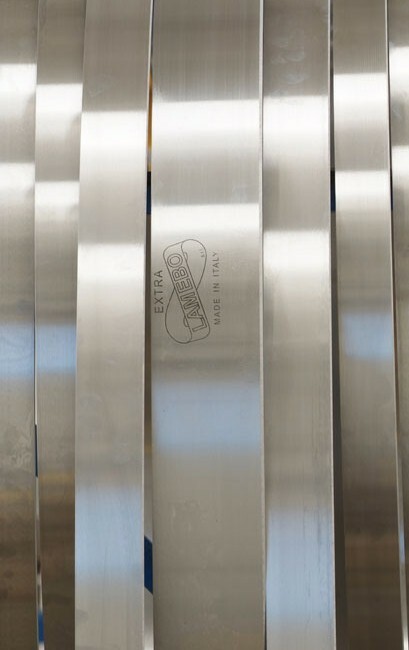 Quality is all: the quality of our steels, of our welding, of our linearity and the perfect cut make our splitting band knives UNIQUE. A constant high quality. 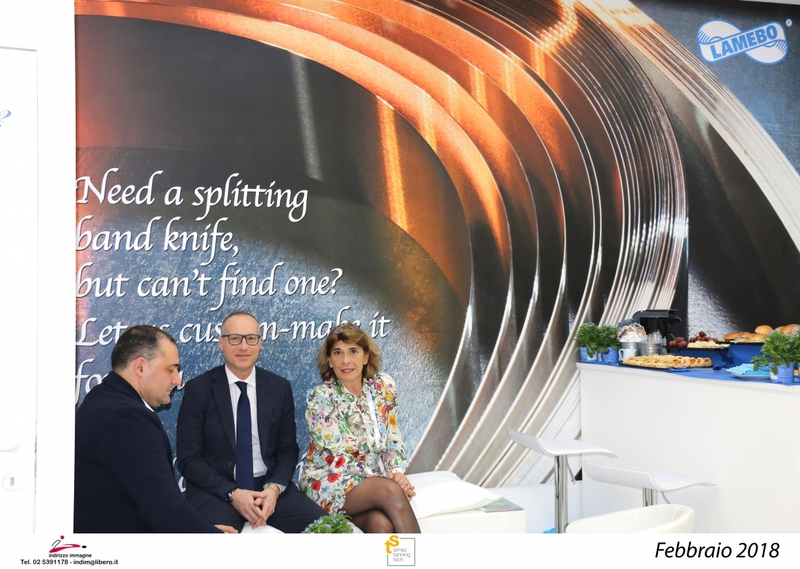 We've dedicated to splitting band knives, protagonist of our care and work, throughout a Massimo Forchino 's creative and artistic interpretation , a photo-shooting that becomes an art exhibition.